Space Station! Space Station! Space Station! | Spaceship! Spaceship! Spaceship! Space Station! Space Station! Space Station! Whilst we’re flush with spaceships, I don’t think I’ve ever blogged a space station. 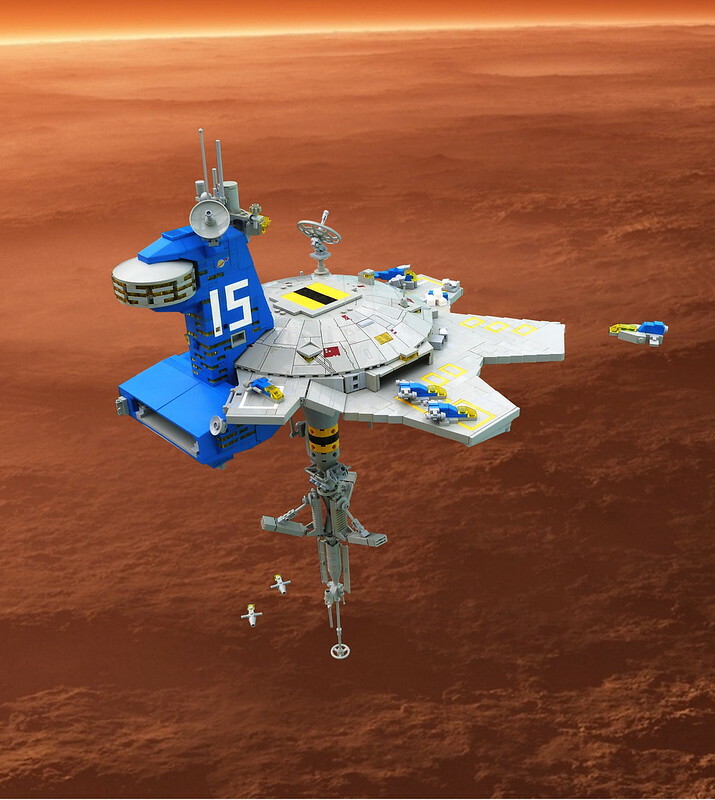 So I’m really pleased Damien Labrousse not only built an awesome one, he built a Classic Space one too! This little beauty is actually loads bigger than it looks (those are 4×4 black and yellow round bricks, not 2×2 round plates) and the moment I saw it I thought it would be a great place to dock my Classic Space Carrier. I especially like the way there’s classic space pieces used in the construction, like the grey metal detectors used to hold up the flaps on the central vane thing. I can’t wait to see more photos of the top side. Update: Damien snapped the top side too and it lives up to all my expectations. 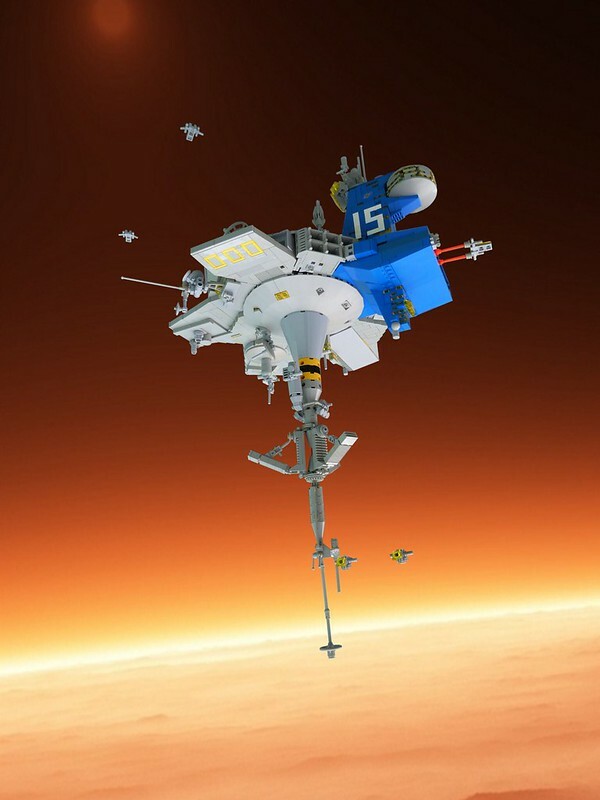 This entry was tagged classic space, microscale, MOC, space station. Bookmark the permalink.